This guy thinks you're awesome. The rest of us require proof. 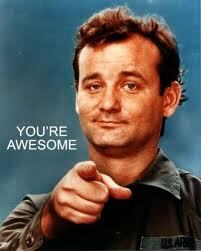 * These events are not endorsed by Bill Murray and we have no idea if he actually thinks you are awesome. Born in 2013, the Two Days Of Awesome is a weekend long, national tour style throwdown in which autocrossers from all over Arizona - and sometimes New Mexico, California, and Texas - descend upon a regional airport northwest of Tucson to see just how awesome they really are. For the sixth year running, the Border Region will be running a two day, national tour style event to welcome fall to the Old Pueblo (just don't mind the temps in the 90s...). Both days are open and welcome to anyone at any autox skill level. In fact, there might not be a better introduction to the sport than seat time on back to back days! The Saturday event does not count towards any AZBR series, only the Two Days of Awesome. The Sunday event counts towards the Fall 2018 series. Cumulative results for the weekend Awesome Series are made available online. Entrants can sign up for one or both days and we offer a $10 discount for entrants that are registered and paid for both days by the close of on site registration on Saturday. To get the discount you can pay via Paypal prior to the close of online registration or by check or cash at the registration table on Saturday. Please take the time to read the important event details on this page. If you have any questions, feel free to post in the Tucson Autocross Forums. The following information pertain to Two Days of Awesome events held at Marana Regional Airport. 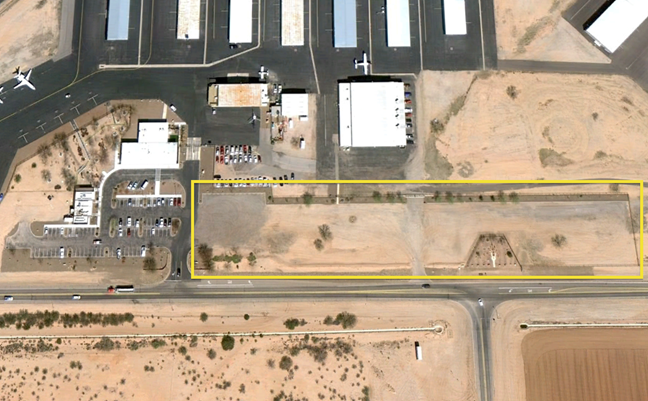 This information is in addition to the autocross supplemental regulations and the site regulations that cover all AZBR Solo events at Marana Regional Airport. Junior Karts are permitted at this event provided a Youth Solo Safety Steward is provided (you bring your own). Arrangements must be made in advance of the event by contacting AZBR Regional Executive Dave Rock or AZBR Solo Director Rob Rockefeller. The SCCA waiver is good for both days. If you attend Saturday then just keep your wrist band on and show it at the gate. If you remove the wrist band then you will be required to sign the waiver on Sunday. Tech inspection only needs to be performed once for this two day event. If done on Saturday it will not be required for Sunday. Exceptions are entrants making significant changes to their cars between Saturday and Sunday. Use sound judgment, avoid safety issues, and re-tech if needed; the line on Sunday is usually very short since many people tech Saturday. Bring appropriate drinks for all day hydration. Six 12 or 16 ounce water bottles or sport drinks are usually adequate. Although the club provides drinking water on site, it is intended for course workers or as a backup for those that forget to bring drinks or run out. No alcohol is permitted to be consumed on the event site. This is anywhere inside the outer most gate at Avara Valley Road. No barbeques can be used on site. There will be no access to the event site on Friday. Gates will open on Saturday at 7:00am for participants per the normal event schedule. See camping rule below for local RV/trailer option. Overnight parking of cars and trailers is permitted on site. They must be located in the dirt/gravel area between the event pavement and the inner fence. The site will be locked over night with no access from the time the event ends and clean up is completed on Saturday afternoon until Sunday morning at 7:00 AM. This site is an active airport and the pavement area must be cleared over night to allow use for emergencies. No onsite camping is permitted. "On site" meaning the area where the event is taking place. There is a location available near the main entrance to the airport that people have used before. This is not a reserved area for overnight parking so park at your own discretion. See highlighted area below. The airport cafe, also near the entrance, opens at 6:00 AM, has good food, and is fast to serve. Registration for both days closes Thursday, October 25th at 7:00pm. The $10 discount for two day registration is only applied if the entrant is registered and paid for both days by the close of on site registration on Saturday. The SCCA requires that all event participants be SCCA members. If you are not an SCCA member a weekend membership is available for an extra $10, which is included in the Non SCCA entry fees shown above. The weekend memebership fee is only charged once for entrants competing on both Saturday and Sunday. This is reflected in the two day, non-SCCA (weekend) member fees shown above. Time Only entries can only be registered for in addition to a regular competition entry. This applies to both SCCA and non SCCA members, and both pre-registered and on-site entries. Entry fees can be paid online via Paypal while registration is open. Please send payments to 'payments@azbrscca.org' and add $2 to your total to cover any fees. The day of the event, registration accepts cash and checks made out to 'Arizona Border Region SCCA' or 'AZBR SCCA'. For anyone visiting the site for the first time or staying in Marana near the site, here are some local services you might be looking for. This list is provided as 'for your information'; we have not worked out discounts and have no direct association with any of the businesses listed.